Nepal is a small country but in few years Nepal has seen lots of progress. The lifestyle of people is becoming more standard and level of education in people is also increasing . There are many people who have done amazing things and are popular not just in Nepal but throughout the world. It is a big pride for a small country like Nepal that there are people who are well known to the world. From many influential and famous people from Nepal, here we have list of most famous men from Nepal. Prime minister of Nepal, Khadga Prasad Sharma Oli makes it to the top of this list. He is the Chairman of Nepal Communist Party, the first party formed by union of Communist Party of Nepal (Unified Marxist–Leninist) and Communist Party of Nepal (Maoist Centre). He was born in 22 February 1952. The first elected prime minister of Nepal after the new constitution of Nepal, KP Oli is one of the most famous personality in Nepal. There are many people who appreciate the work he has done as a prime minister of Nepal. 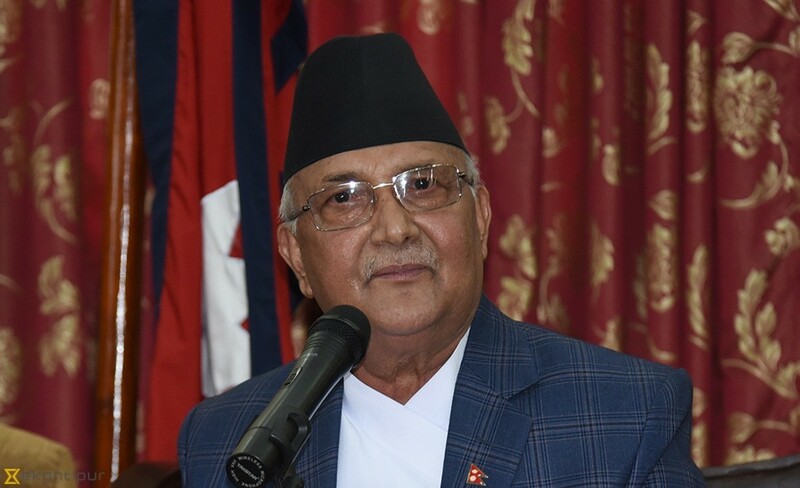 Nepal has seen many reformations during his reign and he is still doing quite good as a prime minister. He is still also criticized for not being able to do quite good as he had given high hopes to people. Despite all the weaknesses , K.P Oli is one of the most influential men in the world. He was born in Terathum in a brahmin family to parents Mohan Prasad and Madhumaya Oli. K.P Oli completed his primary schooling from Terathum and later on completed his secondary schooling from Jhapa after his family migrated to Jhapa. Oli quit schooling at grade eight and started his political career from very early period coming to these day when he is the prime minister of Nepal. There are only few who are unaware of Binod Chaudhary. He is the most rich person in country, the only billionaire of Nepal, listed by forbes. He is the owner of the biggest business group in Nepal, Chaudhary group, which nearly consists of eighty companies from fast foods, snacks to manufacturing companies. CG is the biggest conglomerate in the country making Binod chaudhary the richest man in Nepal. He was born in Kathmandu to parents Lunkaran Das and Ganga Devi Chaudhary. His grandfather, a textile trader give birth to Chaudhary group with a small textile store. Later his father transformed the store to Arun Emporium , the first department store in Nepal. Binod Chaudhary later on took on the business coming to this day where CG stands biggest conglomerate in country. He is not just business man but motivational speaker, , philanthropist, and politician serving in the Nepali Congress. Binod Chaudhary is married to Sarika and have three children : Niravana Chaudhary, Rahul Chaudhary, Varun Chaudhary. They are the future of CG and are doing quite well. The business is run by the whole family and CG is only expanding so is the reputation of Binod Caudhary. Binod Chaudhary is one of the few men in Nepal who many Nepali look up to. Rabi Lamichhane is one of the most famous and loved media personality in Nepal. He is presently host of the most famous talk show in Nepal “Sidha Kura Janta Sangha” which addresses and attempts to solve the different problems of common men in Nepal. He also holds world record for hosting the longest ever talk show that broadcasted in April 20, 2013. He hosted a show for 62 hours live for News24 television. Even though this record made him famous, he got his popularity after being part of the show “Sidha Kura Janata Sanga”. Rabi Lamichhane has solved many social problems of the country with this program. People appreciate this show as the show hears their voice and addresses them. Nepalese living in other countries also appeal to this show for solving their problems. That is the craze of that show and it is Rabi Lamichhane who took this show to this level. He is also quite famous for his journalism style . Rabi Lamichhane has conducted different sting operations to bring out truth to people. Lamichhane is even well known for his straight forwardness, specially while questioning t Nepal’s bureaucrats. Kulman Ghising currently is the hero of Nation. He is present Managing Director of Nepal Electricity Authority (NEA) and the man who brought out the country from darkness. With his proper management skills and leadership quality he ended the biggest problem in Nepal, load shedding. He first ended load shedding in Kathmandu and then in major cities of Nepal. Kulman Ghising is an engineer by profession and has had quite experience in the hydropower field before being appointed in NEA. He served as Project chief in Rahughat Hydroelectricity Project and managing director of Chilime Hydropower Company Ltd under NEA. Ghising was appointed in NEA in September 14, 2016. Within an year of his appointment he solved the issue of load shedding in Nepal and is still doing great things. He is one of the loved and famous personalities in Nepal. Dr Upendra Mahato is NRN living in Russia. He is Russia based Nepali business man. He also serves as president to Russia-Nepal Chamber of Commerce and Industry and is honorary consul General of Nepal in the Republic of Belarus. Mahato was president of Non Resident Nepalese Association. He got his Phd and DSc from International Academy of Information Technology, Minsk, Belarus . Mahato is a very successful business man in Russia receiving manger of the year award in 2007 organized by Free Economic Society of Russia and International Academy of Management under the support of the Council of Federation of the Federal Assembly of the Russian Federation. Despite living in Russia he has done several works in Nepal as well. He has investments in different sectors in Nepal and is also a very well known social worker in country. He built old age home in Devghat , Chitwan . He constantly works for welfare of country and always gives contribution during disaster period and crisis situation in country. He is true humanitarian and a very successful business person of Nepal.